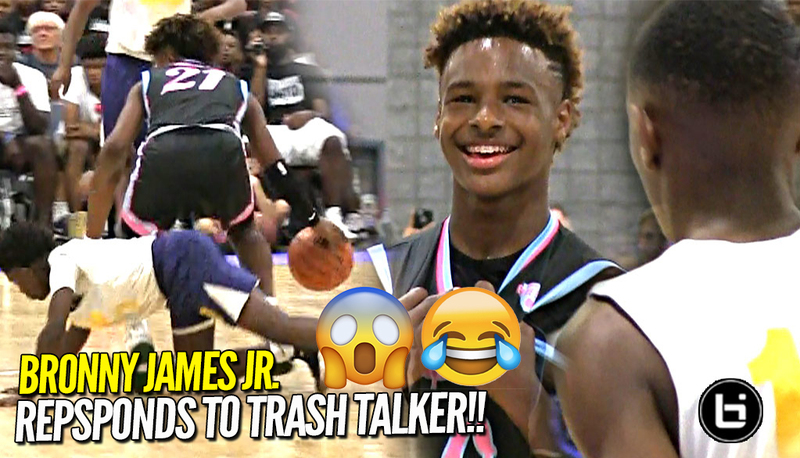 LeBron James Jr. responds to trash talker at first day of usba nationals. North Coast blue chips secured the first pool play win over Alabama Hoopers 84-59. Bronny was struggling in the first half with questionable calls that led him to 4 fouls. Bronny came back in the 2nd half and secured the bag.